Whether you are wanting to blog in order to work from home or just want to start monetizing the blog you have, you are not alone. But you must know how to think like a professional blogger! Are you thinking, "Sure, Allison, that sounds great, but what does 'think like a professional blogger' really mean?" Don't worry, I'm going to break it all down for you. And the best way to do that is to show you the difference between a hobby blogger and someone blogging for business. The things that I am going to share are things I have noticed in my own personal experience blogging, experiences with my students who are starting their blogging business, and even stories from my own blogging peers. If you prefer video (and love to hear my voice!) then hop over to my YouTube channel to hear this information there. Don't forget to subscribe while you're there so you don't miss the future help coming your way. Remember when you were in school and kept a diary? It was a place for you to record your memories, reflect, and clear your head. You were writing from your own perspective, for only your eyes, and thinking about how the information impacted you. Hobby bloggers tend to be like that. They write posts that are more like a diary. The purpose of the blog is not about how the information can change or shape the lives of others. It's more of a one-sided reflection. It's personal, shares their stories and is about them. When someone is blogging as a hobby that is literally all they are doing. They're simply writing their thoughts and opinions into a blog post. They share the information with the world and leave it at that. Hobby bloggers have no game plan for what they will share, who they will share it with, or how they will get the word out there. There is no formal, or even informal, plan in place. How does that compare to a professional blogger? Now that you know what a hobby blogger looks like let's look at what a professional blogger does. Professional bloggers also might have posts that share parts of their story. They might be inspirational. But, the focus of the content is on how the information can change the lives of other people. If there are personal stories shared it also includes what their readers can learn from it. Every single piece of content has value and a purpose. Their blog has a consistent stream of helpful content that is all based around the same topic. Professional bloggers are not ashamed to monetize their blog. They are focused on building a brand, which includes their voice, logo, colors, and whatever that "thing" is about them that separates them from the crowd. Then they find ways to monetize it with affiliate links, eBooks, products, courses, services, advertising, and so on. Hobby bloggers are writing for themselves, right? Professional bloggers have a target audience in mind they want to reach. There's a saying in the blogging world (kudos to whoever came up with it) that goes, "if you write for everyone, you are writing for no one". You must have a specific audience if you want to make an income and finetune your brand. Think about the gender, age, occupation, and demographics of the person you are writing to. What are their hobbies, likes, dislikes, and fears? The more you know about your audience the more effective you can be in reaching them. If running a blogging business is your goal, you need to have a business plan. If business isn't your strong suit it can be really intimidating to sit down and write out a formal business plan. But you can still do it if you have help from people (like me - hint, hint) that have experience. Your plan doesn't have to follow a specific format, but it should include things like what products you will sell, what your content is, your marketing strategy, who your target audience is, how you'll handle taxes, and the things like that. You know what they say... "Failing to plan is planning to fail," and if you want to go from blog to business you need to do the work. You don't have to figure out professional blogging all by yourself! 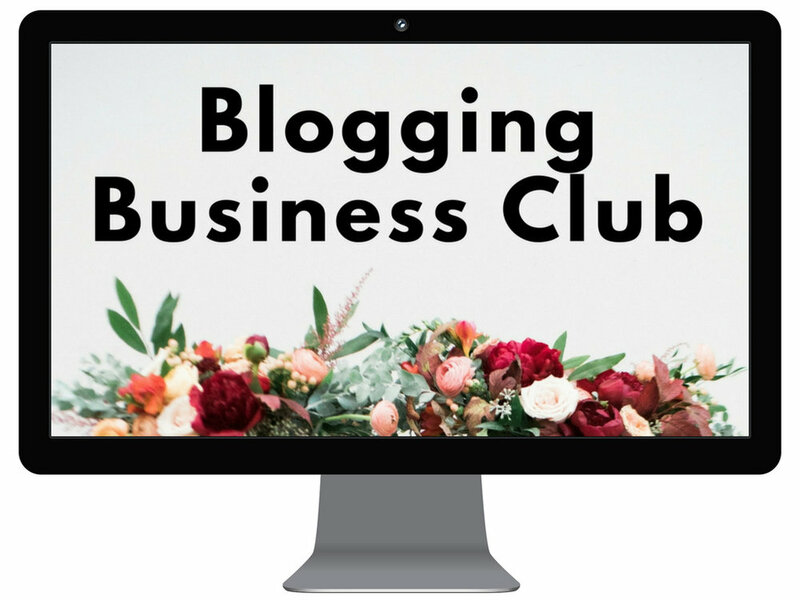 If you want help with writing a business plan you can find all the answers at the Blogging Business Club. There is a lesson that'll help you take it one step at a time. I also cover all the tasks that you can expect to have as a professional blogger. I provide you with quarterly goals worksheets, as well as examples of my completed worksheets so you can see how it really works. After that, I show you how to apply the lessons to your own blogging business plan. Professional blogging is not easy, but it is achievable. You can start a blog that allows you to work from home! I know because I'm doing it. There are plenty of resources online, including my YouTube channel and the Blogging Business Club where you can find the help you need to succeed at pro blogging. The best way to really grow a profitable blogging business is to invest in yourself and your blog. That could mean spending the time to learn new information or financially investing in the resources to help you turn a profit. But it all starts with transitioning yourself to think like a professional blogger! Older PostBloggers: How to Stop Procrastinating and Get Things Done!